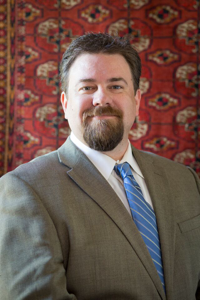 Jason Roske is the owner of the KC Auction Company and has over 20 years of experience in estate liquidation, buying and selling fine art and antiques, and helping clients through the auctioning process. Since 2006, Jason and his team have worked step-by-step with clients from across the nation to manage estates in a personal and professional way. Through his leadership of KC Auction Company and his involvement with KCPT’s annual Antique and Fine Art Appraisal Fair Jason has appraised a breadth of high-value items from art and jewelry to property. Jason’s successful track record exceeds $3.5 million in sales of client personal property, and he continues to bring his expertise, knowledge, and passion to the industry. His presentation at the 2015 International Society of Appraisers national conference addressed questions of outlying factors that affect market prices and how to account for these to best help his clients. He has also appeared as an accredited consultant on every local Kansas City news station, as well as National Geographic Channel’s “America’s Lost Treasures” for his insight to item and estate appraisal. Jason’s deep knowledge of the industry allows him to focus on what clients need during what are often emotional times. Family items have more than monetary value, and managing a family member’s estate requires a listening ear and an informed approach. Preferring personal discussions around the family kitchen table over drawn-out conference calls, Jason constantly looks to better understand and achieve his client’s wishes and has put together an expert team to achieve this goal.